US 2007-04-02 600 points ? EU 2007-03-30 600 points ? AU 2007-07-20 600 points ? Adventure Island (アドベンチャーアイランド), released in North America as Dragon's Curse, is an adaptation of Monster World II by the same developers. That means it's related to Bikkuriman World and The Dynastic Hero. Because of the hardware jump, Adventure Island is a big improvement over the original Monster World II. The relationship is very similar to the two versions of Monster World III, but in reverse. 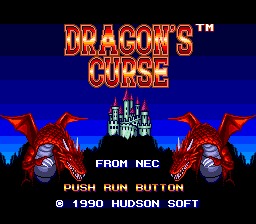 Main article: Dragon's Curse/Magazine articles. Sega Retro has more information related to Wonder Boy III: The Dragon's Trap. This page was last modified on 14 March 2019, at 02:47.